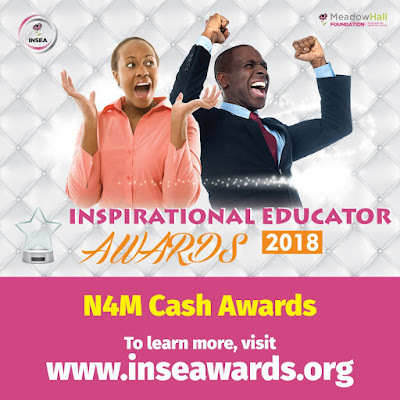 Meadow Hall Foundation is now accepting submissions for the 2018 Inspirational Educator Awards (INSEA) to reward school teachers and head teachers. It carries a reward of Four Million Naira (N4,000,000). How to Apply for The Inspirational Educators Awards. The winner will be announced during the Inspirational Educator Awards event coming up on the 21st April, 2018. The selection process will be audited by Judges. The selection process will be audited by Judges.